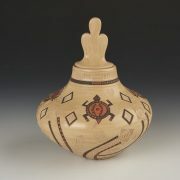 This seed jar with a carved and polished stopper is a marvelous example of her graceful and stylish work. Made in 2001, she has carved a design in three segments around the circumference of his jar. Her design elements here include snow, kiva steps, rain, clouds and the prehistoric spiral. 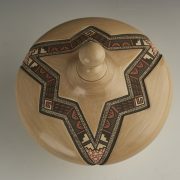 The painting is particularly beautiful, and the polishing has made for such a smooth and elegant piece. BJ Fragua is the daughter of Juanita Fragua. 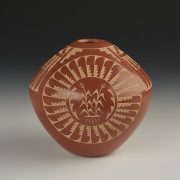 Her sister is Glendora, a wonderful potter, and her brother is Cliff Fragua, a talented sculptor. She is an exceptionally talented artist, creating some of the best of Jemez traditional pottery. She was inspired to make pottery by her mother Juanita many years ago, and has now developed a unique and beautifully elegant design style. 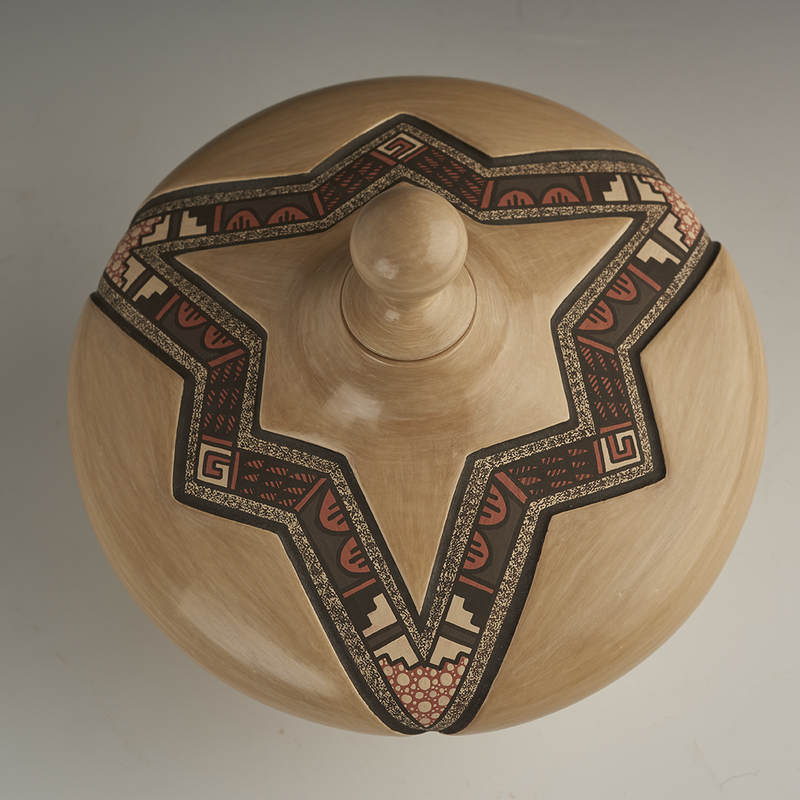 Known for her precise and strikingly beautiful painting, she continues to use traditional images as she discovers new shapes and forms. 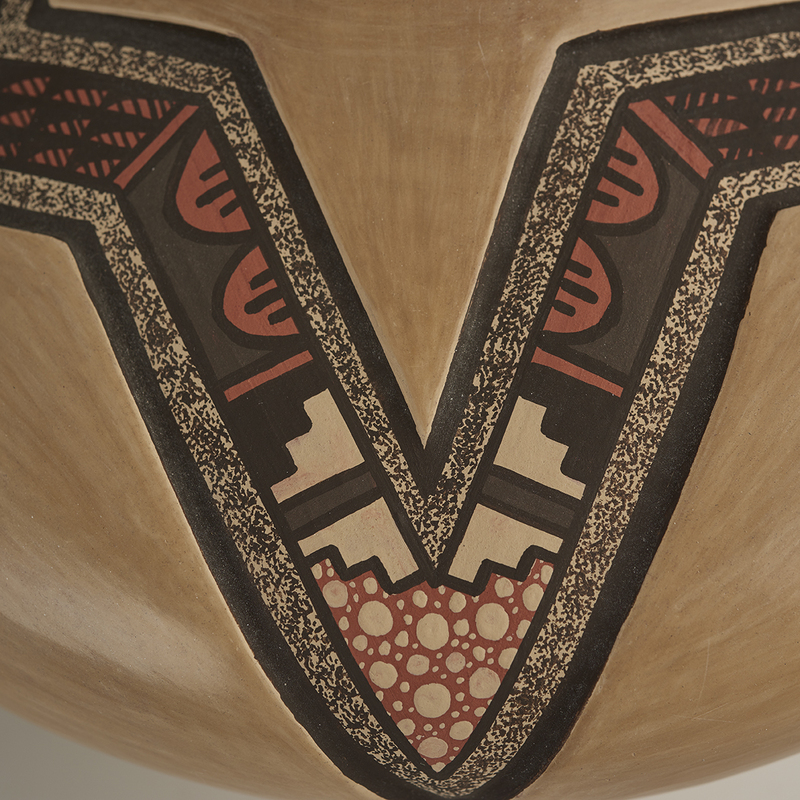 There is a wonderful symmetry in her designs as they flow around the mid sections of her pottery. BJ carves sections of her pots, and then accentuates the painted areas in which she paints her designs. 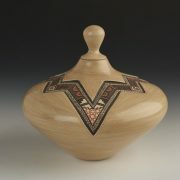 Her finishes are smooth, and she creates a high sheen to the polished areas.